Screen Training Ireland part of Bord Scannán na hÉireann/the Irish Film Board is delighted to partner with the VFX Association of Ireland (VFXAI) on its European training programme, ‘VFX: Script to Screen’. With the formation of VFXAI, Egg Post Production and Piranha Bar will join Windmill Lane and Screen Scene in lending their talent, support and expertise to the programme. 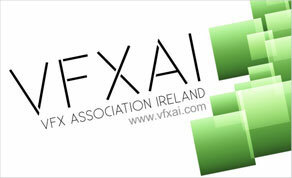 VFXAI was established to promote Ireland nationally and internationally as a VFX centre of excellence. VFX: Script to Screen is an innovative programme targeted at developing skills and talent in the Irish and European visual effects sector. By introducing people in the industry to global leaders in the field, the aim is to inspire the creative communities to push the boundaries of VFX and develop new and innovative stories for audiences globally. Screen Scene and Windmill Lane VFX partnered with Screen Training Ireland for the programme’s inaugural year in 2013. Speaking about the partnership, Teresa McGrane, Deputy Chief Executive of The Irish Film Board, said: “We are delighted to partner with VFXAI on the training programme and we are committed to working with the sector to build opportunities internationally”. VFX: Script to Screen 2013 attracted experienced participants from Ireland and all over Europe, and included a location VFX shoot and studio-based demonstrations of VFX processes. These have included top local talent including Ed Bruce of Screen Scene (VFX Supervisor ‘Last Days on Mars’, ‘Ripper Street’, ‘Moonfleet’, ‘Game of Thrones’); Ciaran Crowley of Windmill Lane VFX (VFX Supervisor ‘Titanic: Blood and Steel’); and Brian Kirk (Director ‘Boardwalk Empire’, ‘Dexter’, ‘GOT’). International speakers have included Peter Muyzers from Image Engine in Canada (VFX Supervisor ‘Elysium’, ‘District 9’); Frazer Churchill from Double Negative (VFX Supervisor ‘The World’s End’, ‘Scott Pilgrim vs. The World’, ‘Children of Men’); Florian Gellinger from RISE Films in Germany (VFX Supervisor ‘Cloud Atlas’); Peter Hjorth (VFX Supervisor ‘Nymphomaniac’, ‘Melancholia’); Felix Berges (VFX Supervisor ‘The Impossible’); and Cedric Fayolle and Julien Meesters of Mikros Image in France (VFX Supervisor/Head of Studio, Mikros Image – ‘Rust and Bone’). VFX: Script to Screen, supported by the IFB and the MEDIA programme of the EU, provides producers, directors and key creatives with an overview of visual effects from development to post-production over three intensive, practical modules.